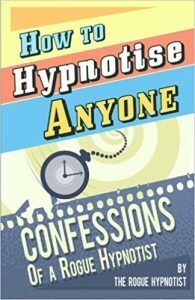 Hypnotherapy, hypnosis, or people hypnotized? This list is far too big for one page, so we have divided it up by category. There are dozens of hypnosis channels on YouTube, but we have picked out some of the best ones and left out some lower-quality ones. There are 3 main categories of hypnosis content online, and you get to pick which one is your fancy. Just a few years back, YouTube was just a place to share funny videos of cats or homemade skits. Nowadays, the selection has become so broad that you can find anything your heart desires on YouTube (well almost anything). 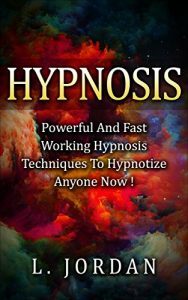 This page includes some of the best hypnotherapy and similar recordings (like meditations) that you can find for free on the web, with YouTube being the most popular and convenient sharing platform. Most recordings are on self-hosted websites (ie. The hypnotherapist’s website), but you may also find recordings on audio sites like Soundcloud, or maybe on alternative video sites like Vimeo and DTube. Yeah, there’s a lot to choose from, but if you’re a real hypno-addict that won’t be a problem. It can be hard to choose, so just pick one with your intuition and dive in. Bookmark this page and come back when you want to try a different hypnotherapist. We are all unique people, so different hypnotists work better for certain people. You might end up finding a favorite that is just right for you–and it’s an amazing feeling when you find them! Free recordings are great, but…. Let’s be honest, if you want the best recordings, you will have to pay for them. Even though the internet is full of TONS of free stuff, they just do not give away the best stuff like that. Those people are certified hypnotherapists with many hours of seminars, training, and studies. But many people are not willing to break out their wallet just yet for that extra quality (or extra choice), and that is understandable. YouTube can provide you with the next best thing, and you only have to pay by watching an advertisement or two. You’ll find most of the basics like stress management and sleep–and there’s no shortage of these, usually presented as meditations instead of hypnosis. You won’t find free hypnosis for every obscure problem you need solved, like if you have a fear of cucumbers, dolphins, or cellphones. In fact, most of these free audios and videos don’t even have any spoken words, so they can only be used for general experiences. If you have more specific needs, check out the hypnosis sites page to find the latest and greatest hypnotherapy audios. Hypnotherapy videos, or any other kind of audio/video for self improvement, do not have to necessarily follow the typical hypnosis method of induction, deepener, and suggestion. Many of these videos are meditations, affirmations, or subliminals. They all work on similar concepts. Please note that we do not know for sure which of these hypnotherapists are certified, and the validity/usefulness of their training and certification. Anyone can upload audios and videos to YouTube, regardless of what they know. We do not represent the values and ideas of any of these hypnotherapists. Because of these circumstances, you take on your own risk when using these audios to deal with any conditions that may you have. YouTube, and many other sharing platforms, will also compress the audio/video, resulting in lower quality sound. Due to the nature of the internet, some of these videos/channels are bound to go missing, or may be unavailable in your country. NOTE: Most of these videos will contain an advertisement in the beginning, and sometimes you may be interrupted by an ad right in the middle of a video. This is generally NOT THE INTENTION of the creators, but YouTube sometimes does this (likely as a mistake). Also please remember that these creators put a lot of time, money, and concentration into making these recordings for you, and they need things like advertisements to be paid. It is a great privilege to hear these recordings for free, and to get the absolute best experience, you will have to buy some recordings yourself. Jayni is super real and genuine. She get’s you to connect to her and everything becomes very silent. No background audio needed, just noticing the silence of life. You can tell she cares very much about her viewer and wants to help them. It’s very intimate, but that doesn’t mean sexual. Just think: into-me-see. That’s what intimacy is. It’s about looking into another person and understanding how they feel. She feels very close to you as you watch her. It’s quite the experience. She needs no background track to get the hypnotic effect. Just the sound of her voice. It can be very telling of a hypnotist’s abiity when they take you to an amazing place with just their voice. She is definitely an under-exposed artist that you may not have seen before! Well mannered, fun, English accent female hypnotherapist. Check out her fidget spinner induction if you’re looking for something silly and fun. Hats off for doing hypnotherapy recordings in this format. She has a very inviting and friendly personality that will help your mind totally relax with her. She touches on plenty of different topics, so check out her video list. 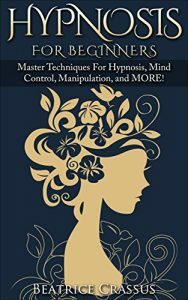 She does explanations of hypnosis, she will do some fun hypnosis tricks on you for demonstration, and she can even help you with your relationships (and getting over them). Goddess worship hypnosis, healing, and other things, all on video. This is a smaller channel that you can show some love, especially or being so unique! These kind of recordings are much more common. Most of the ones you find online will have no words in them, but we have kept this list spoken-word audios only, unless the music/binaural recordings are really good. Bless his heart, if Michael Sealey doesn’t warm you up your heart, I’m not sure what will. These are long, deep recordings that focus on a lot of the basics. If you’re just getting started, jumping in right here wouldn’t be a bad idea! It’s very clear that Sealey is a strong, caring person with a first and foremost intention to help you with your life. He tends to call these recordings ‘guided meditations’, and that may be for legal reasons. It’s definitely hypnosis though, as meditation and hypnosis are not always that different! Feel free to try out his inner child recording. It’s a great one. If you’ve never connected with your inner child, you might be surprised to realize just how much it will actually mature you! This child-like part of you helps you to become more fun, open, and even more successful. Many people think that becoming child-like will make them more childish. But this couldn’t be further from the truth! When you connect with this youthful part of you, it will actually prevent those difficult feelings that you run into. When you have emotional suffering, it can be this so-called inner child crying out for help. If you don’t give them the attention they need, they will continue pushing your emotions until you are forced to confront them. But don’t worry, all you have to do is relax and give your body and emotions a little presence and understanding. Sometimes people call this ‘shadow work’, which sounds a little scary, but it can be quite nice. Ever noticed how you act differently around different people or places? It’s because you are not just one personality or psyche. You are made of many intricate parts, and letting out this young part of you will make you just that– even younger! You get to be more vibrant and free, while still maintaining your adult knowledge and wisdom. This is the kind of life that you always dreamed of! Michael Sealey gets it. Normally he offers a lot of paid recordings, but you can find a number of nice recordings on this YouTube channel. Steve is a very popular and accomplished hypnotherapist, and very little of his work is available for free, so feel free to enjoy this work that he has online here. He wont put his best stuff on YouTube though. He is infamous for his other recordings like Full Mental Power, a recording designed to unlock the hidden potential of the mind. The audio recordings are very long and drawn out. Great if you’re into really deep trance. It’s quite slow, though. Make sure you’ve got at least a full hour to spare. Some may say that Steve G. Jones is all just marketing, but he is actually quite good, with an incredibly hypnotic voice. In the end, it’s up to you to decide that. His videos are an opportunity to test it out and see if they are a good match for you. Pretty radical meditation/ self hypnosis videos with great voice and visuals. Very much into the natural/spiritual/shamanic vibe. You’ll find healing meditations, shamanic, mantras, frequencies, vibrations, and energies. Truly some very welcomed transcendental stuff. Another rad meditation channel. Similar vibe to PowerThoughts. They do a lot of vibratory tones and similar music. There’s not much voice recordings going on, but the soundscapes are just so good that they’re on the list anyway. These tones will take you to an amazing place. Many videos are hours long, which means you can just flick it on and enjoy in the background while you sleep or hang out. It really raises the vibration of the room, and you can really feel it! Super deep relaxation videos, helps with typical hypnotherapy things (weight loss, sleep, etc.) With a heavy focus on sleep, especially going to sleep after the session. She has super irresistible voice that will take you deep every time. An ultra-solid channel with pretty spiritual stuff. Like out of body, astral projection, past life, intuition, angels, mind mastery, third eye activation, spirit guides, higher selves, chakra healing, you name it! Subscribe to this one if you’re into the spirit side of things, because it sounds great, with awesome transcendental background tracks and an incredibly smooth voice. Props for including background video. Some people like to look into the video and see something relaxing as they watch. These videos are really well done, with great background music. You can’t go wrong with it. Tons of different and interesting content, super chill and real attitude. She has divided her videos into playlists, like Think Yourself Slim, Food Addiction Hypnosis, Positive Affirmations, and Spiritual affirmations. More people need to divide their videos into playlists because this helps users a lot! Great meditations and hypnosis with some interesting flavors that are not found elsewhere. 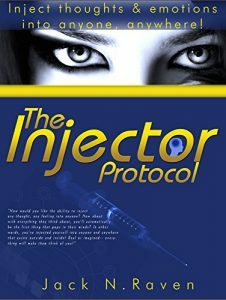 You can find DNA activation, hypnosis to conceive a child, age reversal, and even connecting to passed loved ones. It’s great to see someone doing things that are a little different. You won’t be able to pronounce her name, but her voice is still clear and defined, and she makes great recordings with a very positive attitude! Not really a hypnotherapy center, but it’s an amazing forward thinking, leading-edge channel. Search through their video list to find some real gems. The owner of this channel is very genuine, loves the law of attraction, and is also the creator of the Affirmation Reminder App (A very simple app that I recommend). They feature meditations, talks, motivation, and spiritual wealth/success/prosperity guides. There are just so many gold nuggets in there! Is there someone that we missed? 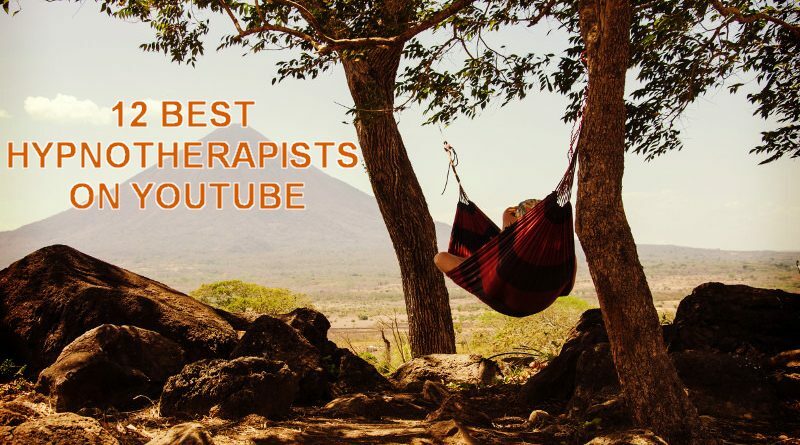 If you know of a YouTube channel (or any other website) that makes great hypnotherapy recordings, please leave a comment below! 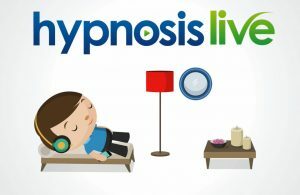 ← Hypnosis Live review- Best Hypno for logical people?